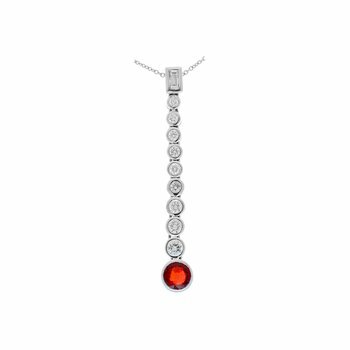 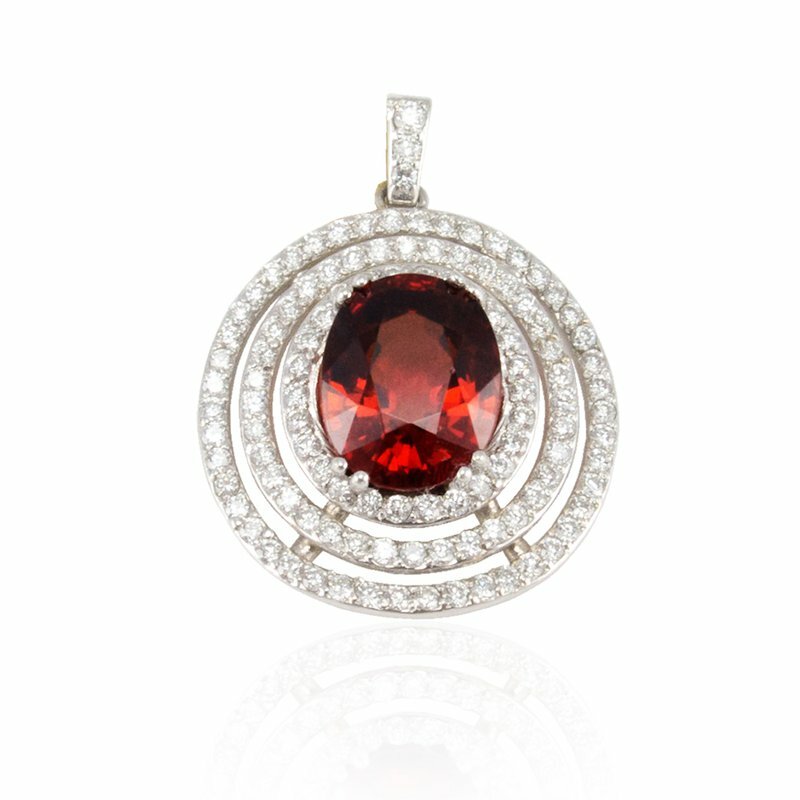 A ferocious and fiery orange-red Spessartite gemstone enhances the aesthetic of this pendant. 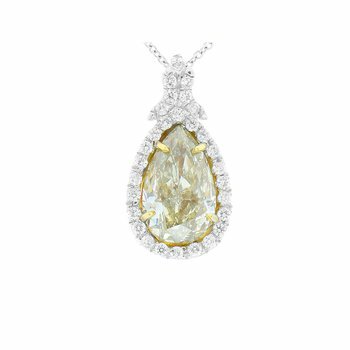 This Spessartite gemstone makes an opulent statement with its stunning 4.77-carat weight. 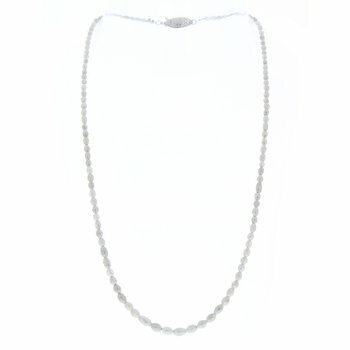 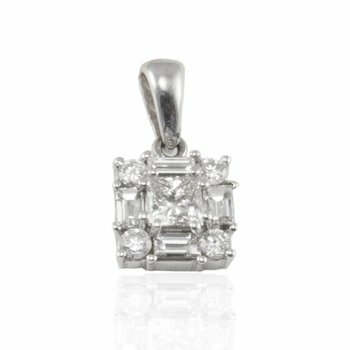 Three rows of bead-set white diamonds glisten around the gem with 0.84-carats of brilliance. 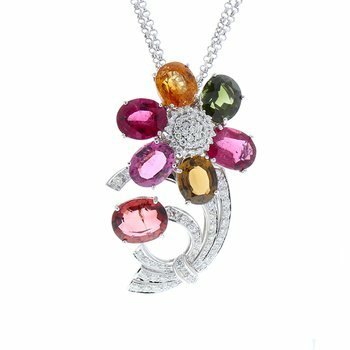 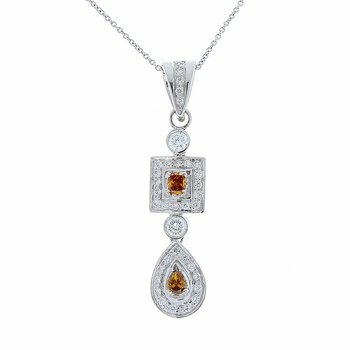 A setting of 18-karat white gold encapsulates the stones. 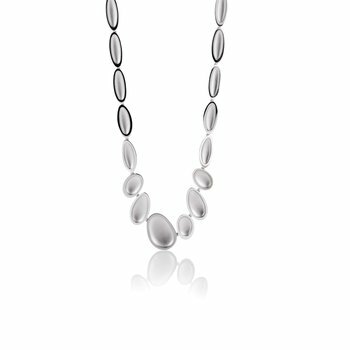 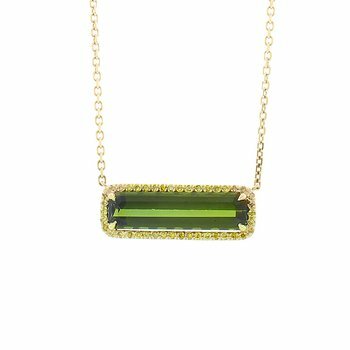 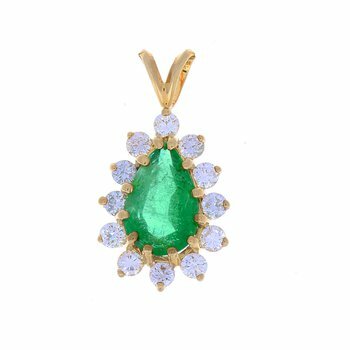 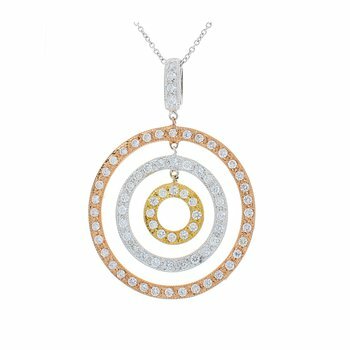 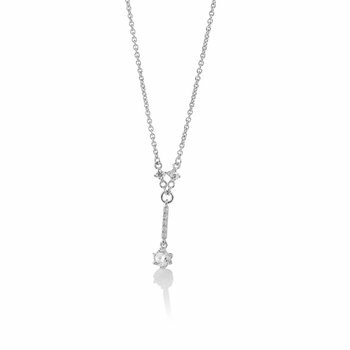 Slip this pendant onto a favorite high-karat white gold or platinum chain for an eye-catching statement.